3 images. 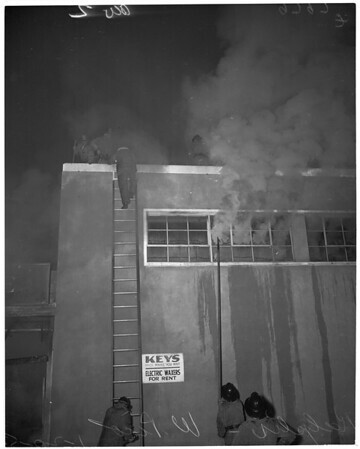 Flames at Ralph's 5 and 10 store on West Pico Boulevard, 20 January 1953. Firemen and scenes of fires.